The recent bushfire in the Blue Mountains of NSW serves as a reminder that for many parts of Australia, bushfires can be a major concern – even in the depths of winter! So what does this mean if you are considering building a deck in a bushfire prone area? The region where your home is built. The type of vegetation surrounding your property and the distance between the vegetation and your home. The slope on your land and the surrounding land. There are no requirements for BAL Low. The subfloor of decks or stairs/ramps can remain open. 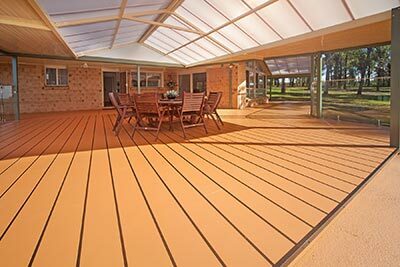 If your deck is less than 300mm horizontally from a glazed element, which is less than 400mm (measured vertically) from the deck level, then the decking must be made from a bushfire-resistant timber. Requirements are the same as BAL 12.5. Decking supports, decking framework, decking boards and stair treads need to be made from non-combustible material or fire-resistant timber. Balustrades that are less than 125mm from any glazing or combustible wall are required to be made of non-combustible material or fire-resistant timber. Requirements are the same as BAL 29. In addition, decking boards cannot be spaced. Requirements are the same as BAL 40. This is a basic guide and other factors must be considered if you decide to enclose your deck. A steel sub-frame is allowable for all the bushfire attack levels. For more advice on building a deck in a bushfire prone area and information on BAL levels, contact Outside Concepts today.